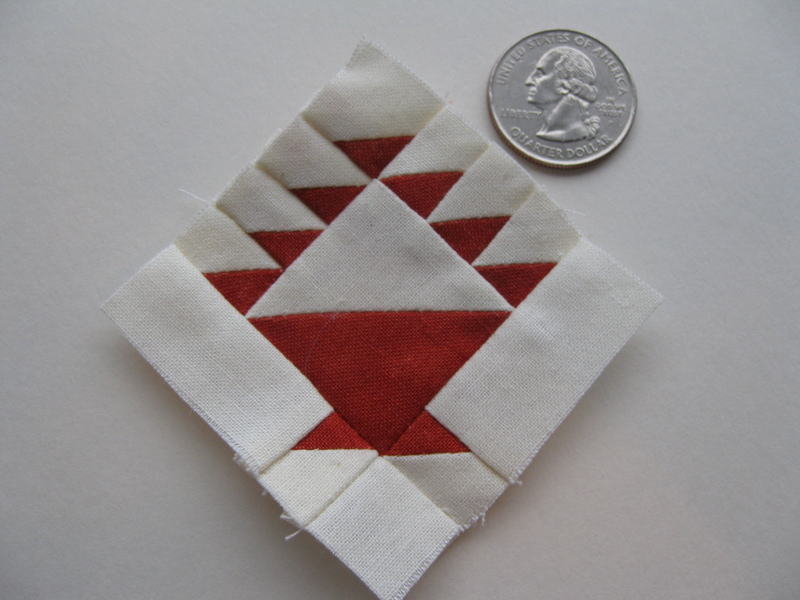 I made this block a few months ago during a class I took with Sally Collins. It measures 2.5"... and it took me about four hours to make it. As you can see, the seams at the bottom of the basket did not quite match, but I was pleased with the overall result as it was my first attempt at miniature blocks. Check out Sally Collin's site. Her work is breathtaking. Her hand quilting is out of this world. 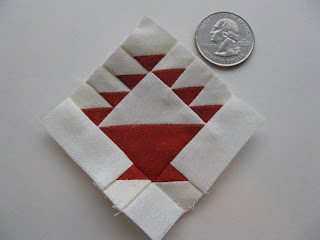 One of her books, Mastering Precision Piecing (find it here), is at the top of my wish list, not so much because I believe I could ever be as precise as she is, but because her lecture and class already improved my workmanship tremendously - I can only imagine the improvement I will notice once I read it. Making miniatures is such fun! Your little red basket is beautiful! Tá bonito,vai fazer uma Jane?